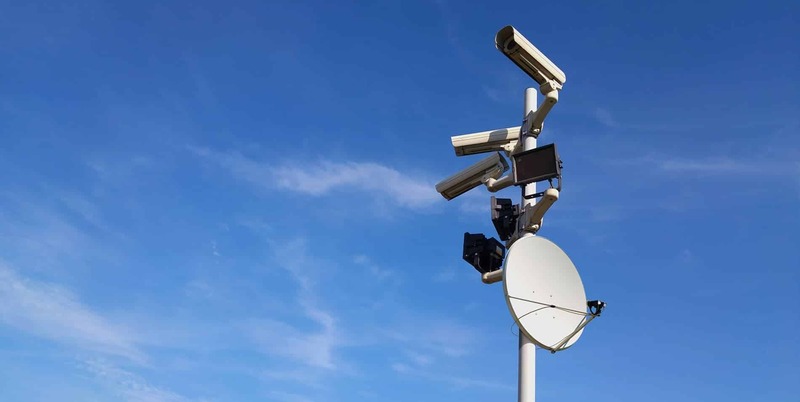 Deploy remote monitoring or data collection devices to secure facilities, installations, perimeters and borders with Kacific CCTV and Remote Data Collection – our sophisticated, reliable, flexible broadband security solution. Our Kacific1 satellite offers a coverage footprint that enables the deployment of high-speed data or video collection links across vast territories, sensitive sites and challenging terrain. Field personnel, local and central control centres can use secured applications – anywhere – to remotely monitor perimeters and premises, prevent unauthorised entry, analyse large collected amounts of data, send raw film footage to post-production, or even remotely grant semi-automated access to secure facilities. 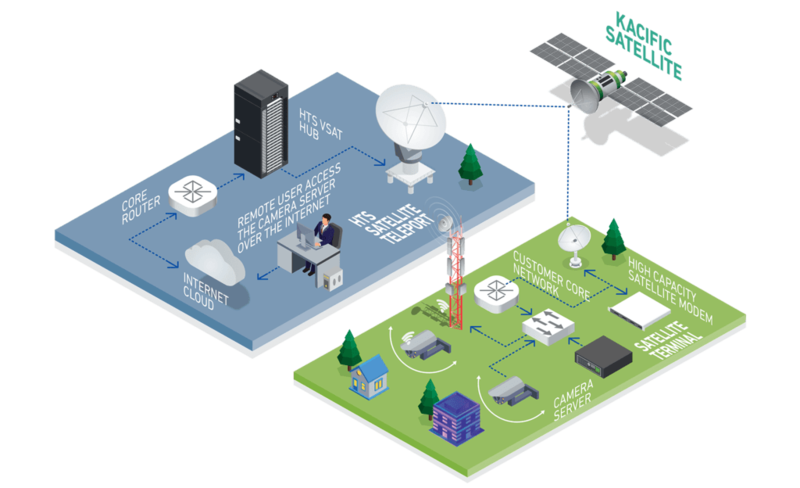 Using our expertise in end-to-end integration, you can seamlessly connect our technology with your existing surveillance networks and decide on the distribution of connectivity to cameras, sensors and other devices. Kacific CCTV and Remote Data Collection is compatible with the latest generation of fully-encrypted video surveillance, remote monitoring, data collection and access control.